MyLotto is the lottery affiliate program for Jackpot.com and offers 10% to 15% revenue share commission plus optional CPA. MyLotto is the lottery affiliate program for Jackpot.com. Jackpot.com offers players the ability to buy lottery tickets worldwide for some of the largest and most popular lotteries in the world including EuroMillions, Mega Millions, PowerBall, Oz Loto, EuroJackpot, Lotto 649, SuperEna and more. The jackpots totals at any given moment are around $500 million with 49 different lotteries to pick from. Jackpot.com offers a variety of languages to players such as English, Polish, Dutch, German, Spanish, Italian, Portuguese, Swedish, and Polish. 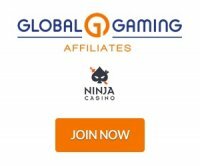 The affiliate program offers affiliates a starting 15% revenue share commission for the first 3 months and a default commission of 10%. MyLotto provides affiliates with text links and a large selection of banners that includes many of the popular lottery tickets that players can buy and provided in many languages. They also have dynamic data with RSS feeds and iframes which including upcoming draws for lotteries. Not all lottery products are the same and if you are looking to recommend online lotteries, players will be excited to buy tickets for some of the biggest lotteries in the world and get a chance to win. New affiliates get a 15% revenue share commissions of 15% for the first 3 months before switching to the default commission of 10%. Payment methods such as Bank wire, Neteller, Skrill (Moneybookers), WebMoney and PayPal are available for affiliates.